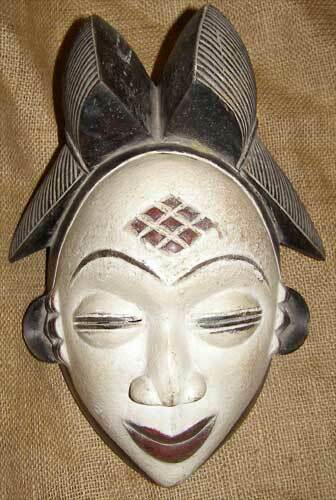 African art and masks of the Punu. This African mask from the Punu People of Gabon is 12 inches tall, and 8.5 inches wide at the ears. 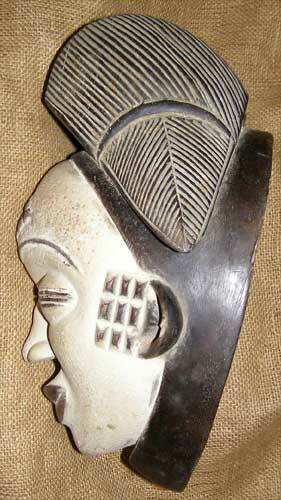 Punu folklore assigns anti-witchcraft powers to the color white; thus many punu masks have distinctively beautiful white faces.